Summer is in full swing here. Â That means lots of fun and relaxing, laying around enjoying the weather, spending time with family and grilling dinner.Â Unfortunately, summer is not all relaxation and fun. Â There are lawns to be mowed, gardens to weed and landscaping toÂ do. This weekend after a busy day of chores I wanted a quick and easy dinner for the family, so naturally I thought of one of our go-to dinners, pizza. But, let’s face it, although pizza is affordable, quick and easy, it can be boring. Earlier in the week I had solved the problem of boring pizza by picking up some new TOMBSTONEÂ® Limited Edition Pizzas. 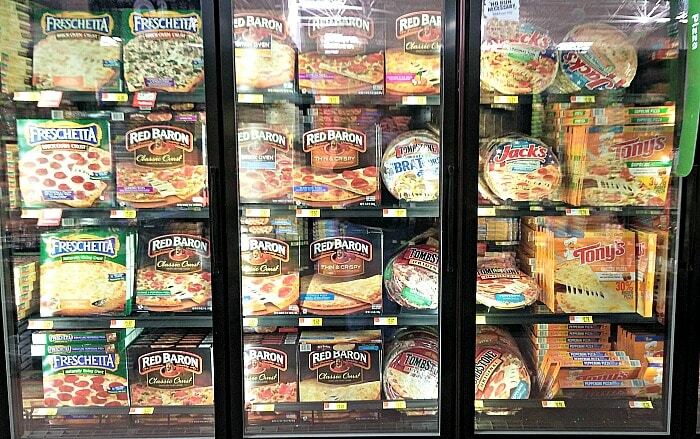 These pizzas feature unique flavor combinations, premium meats and 100% real Wisconsin cheese, for an unexpected and delicious tastes. 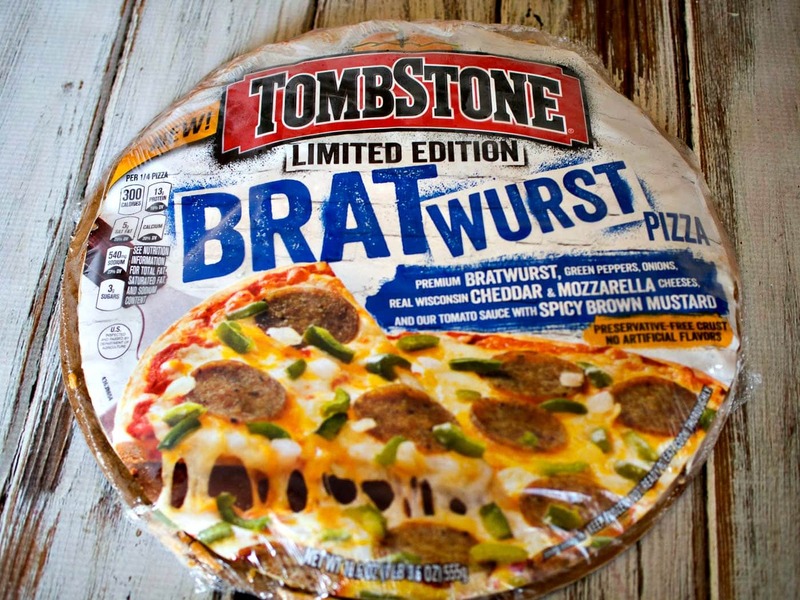 I found these in the freezer section at Walmart, and picked up theÂ Limited Edition Pizza â€“ Bratwurst pizza for my family because we love Bratwurst. Â This pizza has slices of Bratwurst along with onions, green pepper, two kinds of cheese and a little spicy brown mustard in the tomato sauce. You can also buy theÂ Limited Edition Pizza â€“ Diablo which hasÂ chorizo, jalapenos, sweet red peppers, cheese, and fiery sriracha sauce mixed in. Â We are going to try that one soon too! I had solved the boring pizza problem, but I still wanted to grill out. Â So I headed to the Tombstone Pizza Facebook Page, where they have handy Tombstone Grilling app with instructions on how to cook their pizzas on the grill. 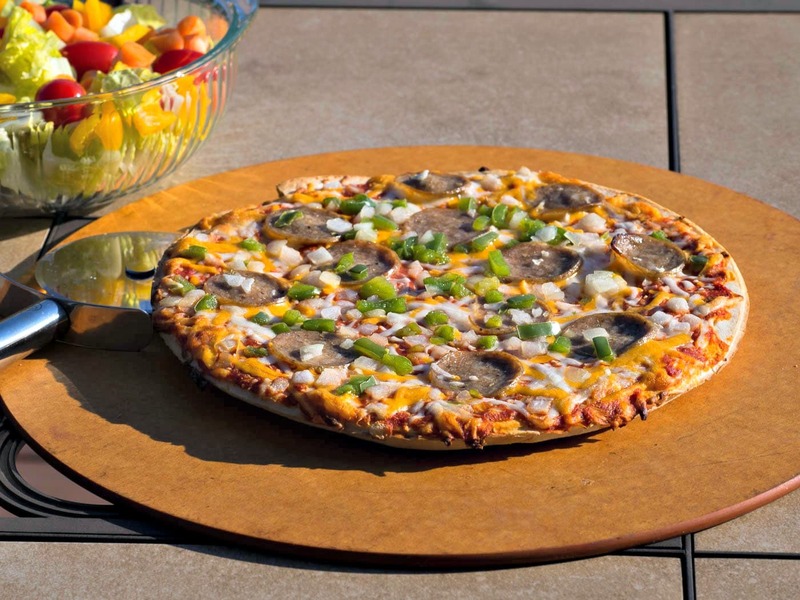 Â It turns out it is very simple to cook a frozen Tombstone pizza on a gas grill, you just have to heat the grill to 400 and cook it with the lid closed for about 15-19 minutes for a crisp and delicious pizza. While the pizza cooked I made a quick salad, and we had a fun and different dinner in less than half an hour with very little effort from me – just what I wanted after a busy day of chores. 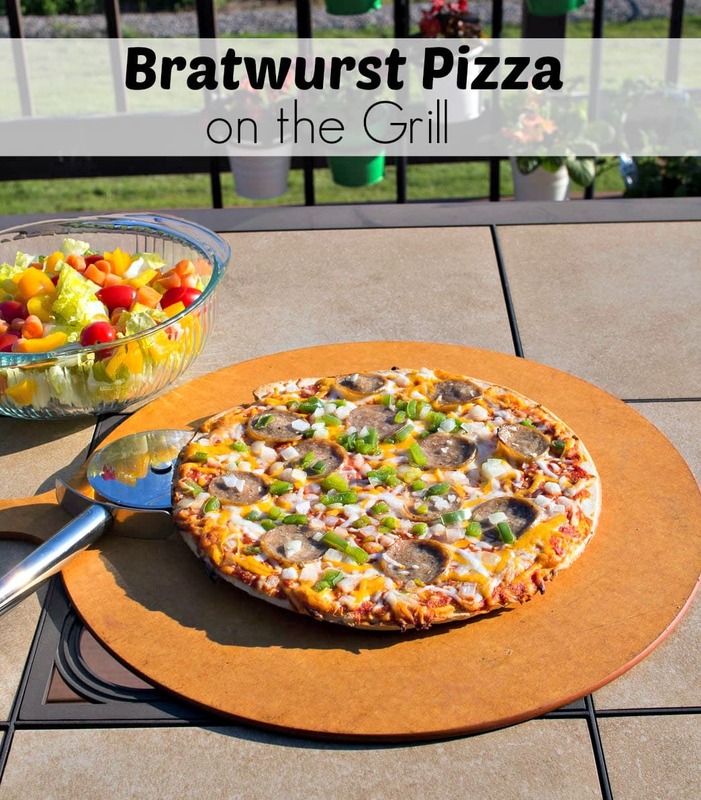 The Bratwurst pizza was delicious, with a little bit of spice, and it was crispy and hot from the grill. Check out theÂ NestlÃ© Walmart Page for more ideas on how to Flavor Your Summer! And follow along withÂ @TombstonePizzaÂ on twitter and share with them and me your favorite pizza, and how you make family dinners affordable and easy! This is not the pizza for me, but the men in my life would really love it. This is such a unique flavor for such an affordable brand- and a great meal solution for a busy night! I love sausage on pizza! I am totally going to have to try this variety, it look so delicious! This is right up our alley! We love any excuse to be outside and cooking out. Also, we definitely love bratwurst. We’ll have to give this a try very soon! I have never heard of this pizza before from Tombstone! This sounds like a pizza my husband would like! I need to try this out this summer on the grill! Pizza on the grill? Why have I never thought of that! Going to try that this weekend! That is pretty unique. My husband would LOVE it! 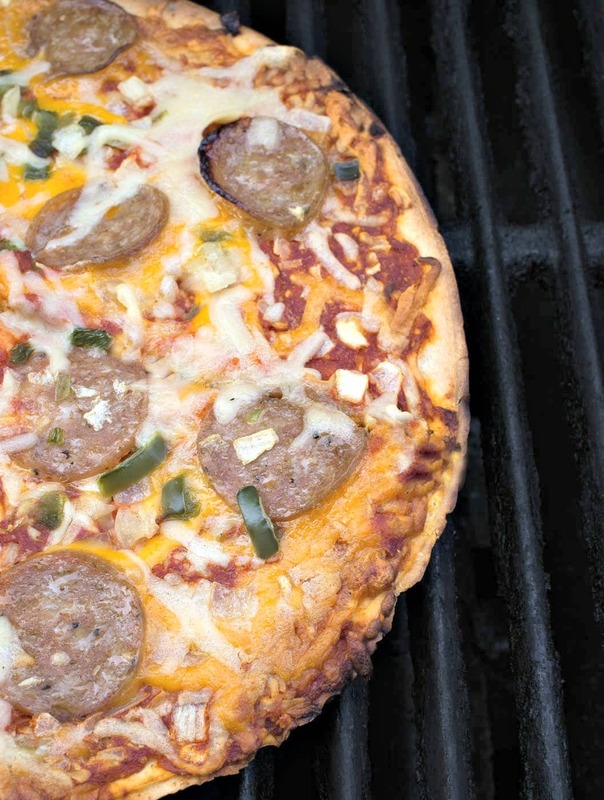 I really have to try grilling pizza this summer. Bookmarked to do later! This pizza looks amazing!